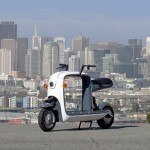 The Tri-GO scooter features a top speed of 28mph with a range of up to 31 miles equivalent to a 50cc engine. 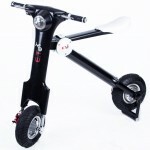 The compact trike scooter comes with a removable 48V 10Ah lithium-ion battery that takes 2 hours to charge from any standard socket from your home or office. 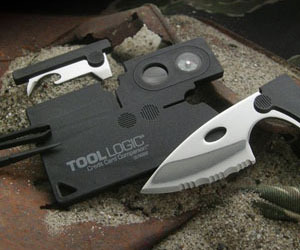 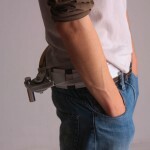 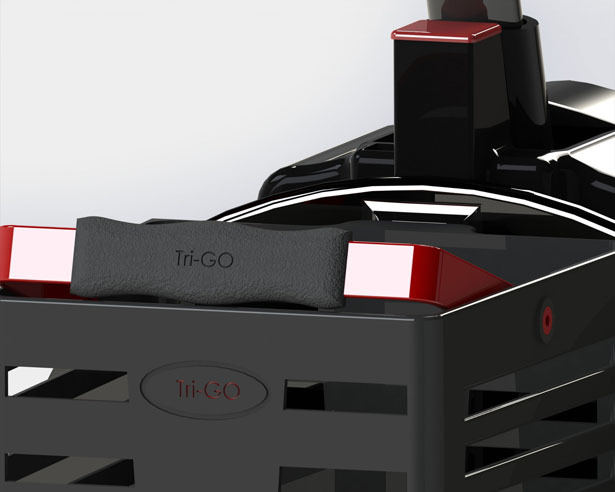 The Tri-GO is very compact and light, ideal to squeeze in and out everywhere. 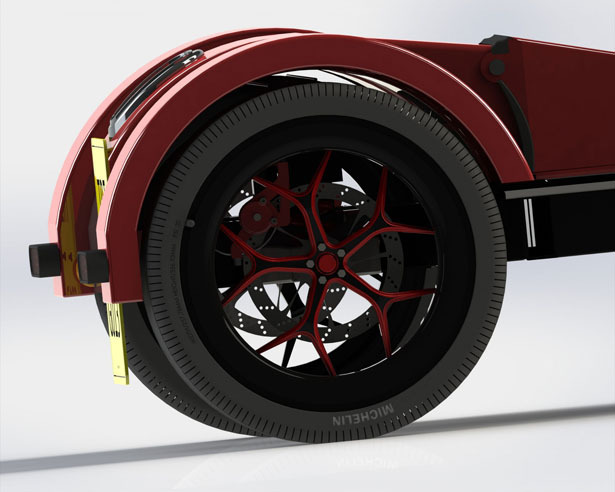 The aim of the concept was to provide a new method of transport for people who live and work in cities that travel many short distances. 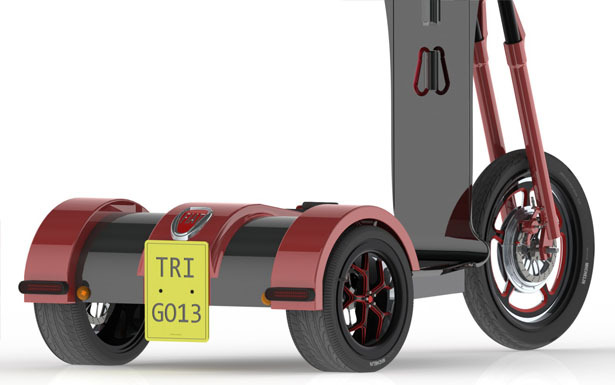 The Tri-GO will prevent people using petrol engine cars as this is a cheaper and more convenient way of transport to use, reducing their carbon footprint. 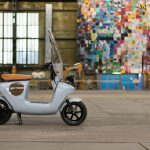 The scooter has been designed in the eyes of the Fiat 500 implementing the success of the car and into the Tri-GO. 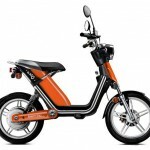 The locations of the electric components have been placed for an optimum weight distribution. 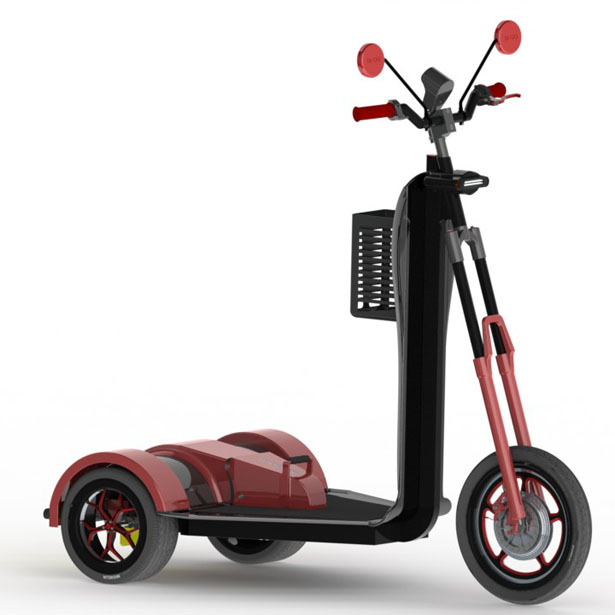 The Tri-GO scooter includes a brushless hub motor situated at the front wheel and suspension at the front and back for comfort. 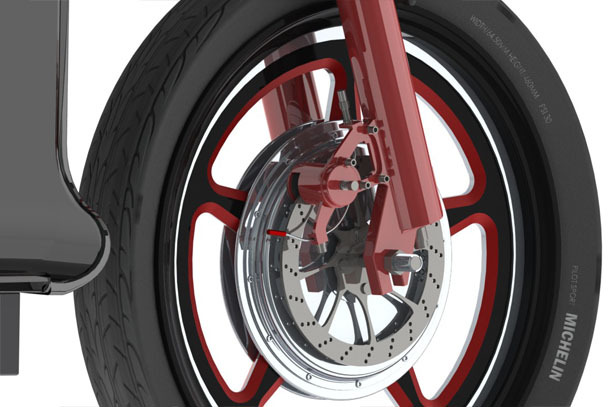 Braking is entrusted to disks front and rear. 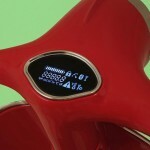 Also, a smartphone dock has been added to the handle bar to allow the rider to use a sat nav. 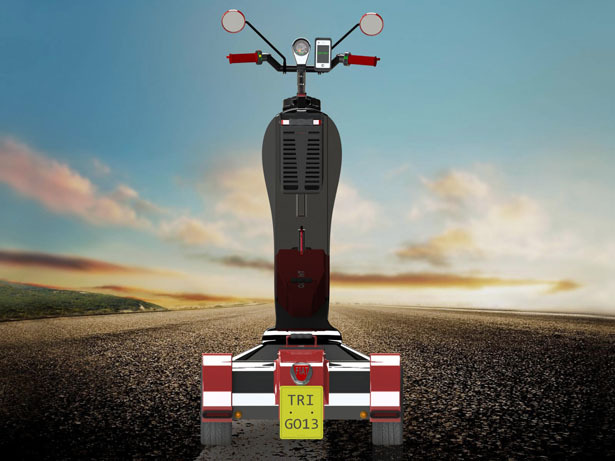 Tuvie has received “Tri-Go Scooter” project from our ‘Submit A Design‘ feature, where we welcome our readers to submit their design/concept for publication. 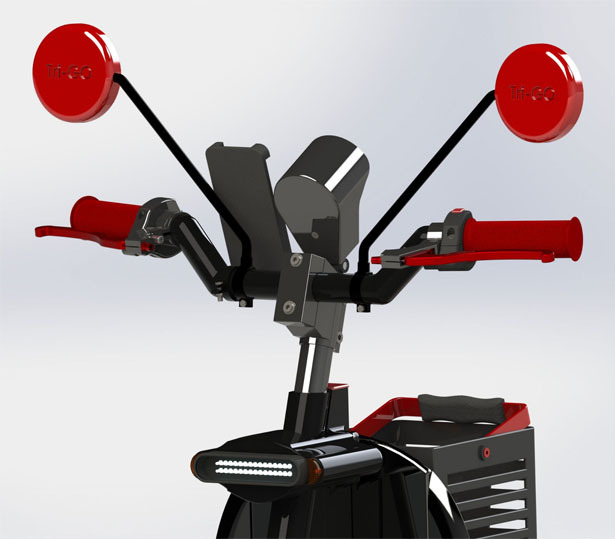 This entry was posted in Designs and Concepts, Scooter. 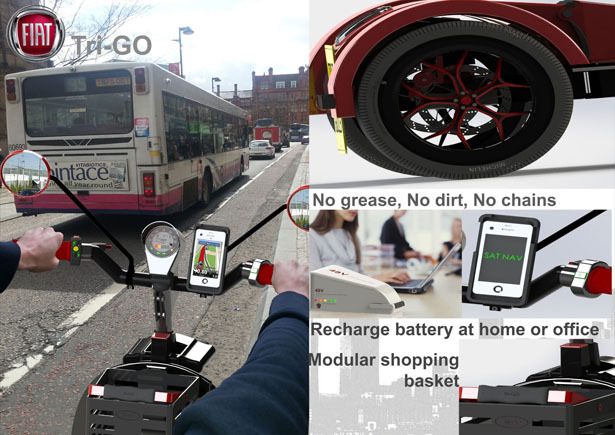 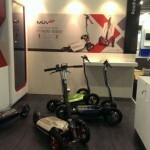 Tagged as carbon footprint, electric components, lithium, lithium ion battery, optimum weight, top speed, weight distribution.